Fans recall Major League’s plot and recite its lines by heart. The last-place, hapless Cleveland Indians face a franchise move to Florida if it can’t pull off the impossible - a pennant win. With guts, hutzpah, and pre-crazy Charlie Sheen, the team pulls off the impossible. And in that moment gives Cleveland it’s first taste of baseball victory in more than 30 years. Truth told, those silver screen Indians were the real deal for a lot of Tribe fans. Back in 1989, Joe Carter was the Indians’ star, Albert Belle was a bench player, and the team ended the season with 73 wins and 89 losses. Thumb your way through the years before and you’ll find a lot of similar records. The film debuted at No. 1 and put a spotlight on the Indians in a way the team hadn’t encountered in years - maybe decades. Then, in the blink of an eye, it was 1995. That season was a like Major League come to life. The Indians finished in first place in the American League Central Division with 100 wins and 44 losses - the first team in the history of the American League ever to win 100 games in a season that had fewer than 154 games. 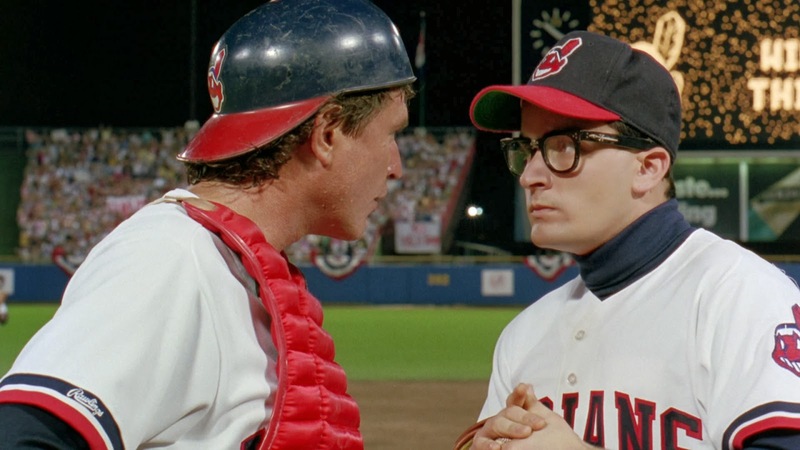 Fans had to ask, did the film have some sort of magical influence on the Indians’ front office? Did the players recall the fan enthusiasm for the fictional team and play even harder to get a piece of that reverence? Did it matter? So here we are in 2014 and it’s deja vu all over again. Except this time, we’re talking football. To say that Cleveland Browns fans willingness to wait another year to win is wearing thin is like saying water is wet. They’ve been waiting another year for almost 20 years, since 1996 when Art Modell, then owner of the Browns, moved the team to Baltimore. Maybe it was apropos that they were named for an Edgar Allan Poe story, because the move was a nightmare for fans - just like every season since the team - or at least a team with the same name - was reformed in 1999. Now, as we approach the 2014 draft and start to build our hopes anew, we’re presented with a situation that feels a lot similar to 1989. And we ask ourselves, could history repeat itself? Could a feel good film about the hapless Browns foretell of a miracle season like that of the 1995 Cleveland Indians? Stinchcomb has a point. The Indians in the 1980s were a middling team in a city not yet on the brink of a renaissance best known, then, for having a flammable river. They were underdogs, at best. And everybody routes for an underdog. 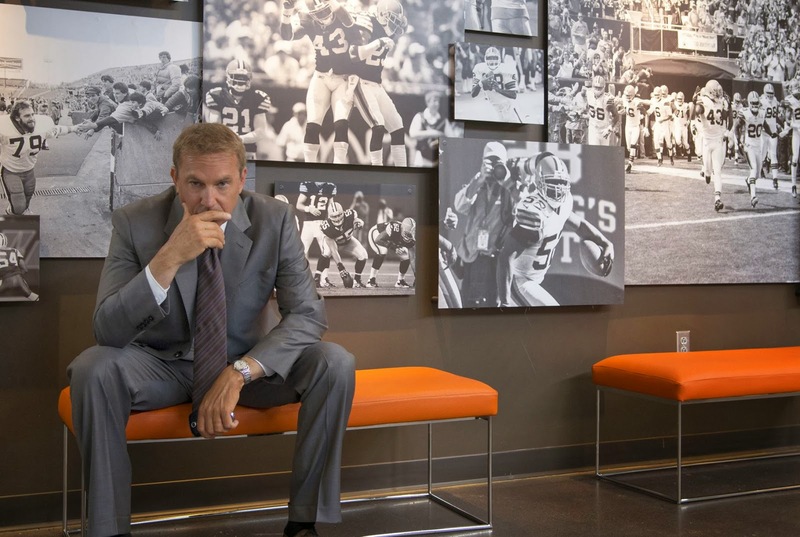 So if the movie proves to be a hit and at least projects the feeling that the Browns are about to become a winner, that will have an influence on the front office, right? That’s a legitimate reason to hope, right? “I don't expect the film to have much of an impact on how the team operates professionally,” says Stinchcomb. Ouch. Impact a fan base’s self identity? You mean, like giving fans a reason for hope by relating to the excitement on the screen? Interesting. Remember how we talked about the way Indians fans cheered for the fictional team as though it were the real team? Or maybe, like me, you are an Indians fan and remember sitting in the theater, cheering like you were at a ballgame - then realizing you were cheering like it was a ballgame, thinking that was a bit silly, then not carrying a bit? It felt a bit like it refueled your passion for the Tribe, right? It gave you new hope - even if, in a way, it’s false hope. Enough that you could last through those final rebuilding years, before the team took off. 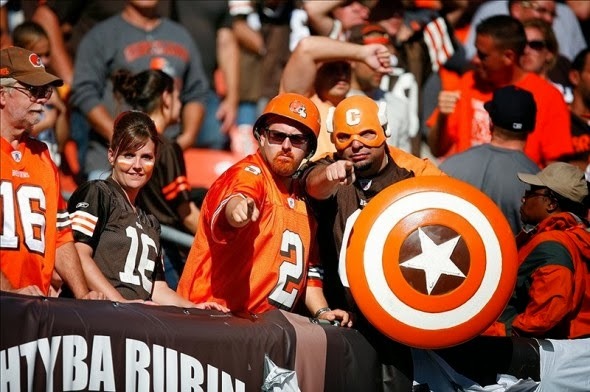 Maybe that’s what Draft Day will deliver to Browns fans, desperate for something. Maybe that will be enough to carry us through the 2014 season. And maybe it’ll be enough to give the owners, players and personnel an added sense of purpose, after seeing the fan reaction to the film. After all, another Costner sports film, Field of Dreams, released the same year as Major League, famously built a baseball diamond in the middle of an Iowa farmer's cornfield as part of the film's set. Like the film's catch phrase, "If you build it, they will come," baseball fans - real life baseball fans - did, just to see that ball field. They still do today. So anything is possible. Or as Coticchia says, hope springs eternal.